William Marshall was the first of the true apprentices, as opposed to students, taken on at the Leach Pottery. A local St Ives boy, he came straight from school and was trained to be a thrower for the new range of standard ware being developed. Conscripted in 1942 he returned to the Pottery in 1947, becoming the foreman. 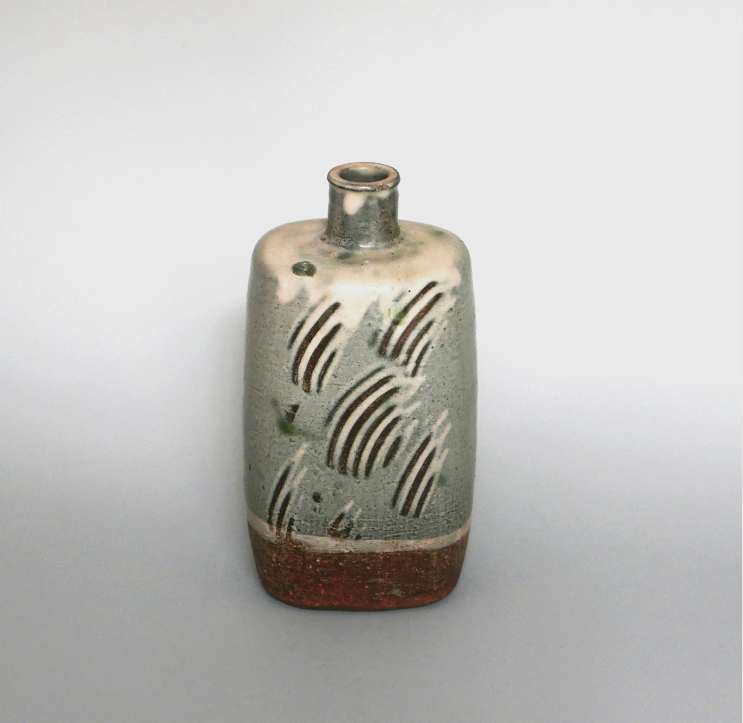 Though he had originally worked with David Leach, he now became Bernard Leach’s right hand man. He was at this time responsible for throwing to designs done on paper, Bernard’s larger vases, leaving the master to detail the foot and rim, decorate and complete. In 1977 he left the Leach Pottery to set up his own studio at Lelant, Cornwall. His own individual work then developed strongly. Obviously Marshall had worked with Bernard Leach for many years and his influence is apparent but one can also recognise the debt he owes to Shoji Hamada. He drew further inspiration from his love of nature and, in particular, the Cornish landscape. His colours and glazes reflect his observations of lichen on rocks and seasonal changes of plant life on the Penwith Moors.